As many of our students have discovered, the gift of archery is enduring. From instructional gift cards, to arrows, bracers, t-shirts and quivers, you can select an appropriate gift for a friend or family member this holiday season or anytime. To view our expanding range of crafted tackle, see the Shire’s Guild. Introduce a spirited youth to the wonderful world of Archery. This course covers four hours of instruction in 2 weekly classes. Cards applicable to scheduled courses & otherwise organized. Please contact with any questions. Suitable for ages 7-11. Our goal in this informal 2-hour clinic is to assist developing archers fine-tune their form and sharpen their practice, using some out-of-the-ordinary tools and techniques. 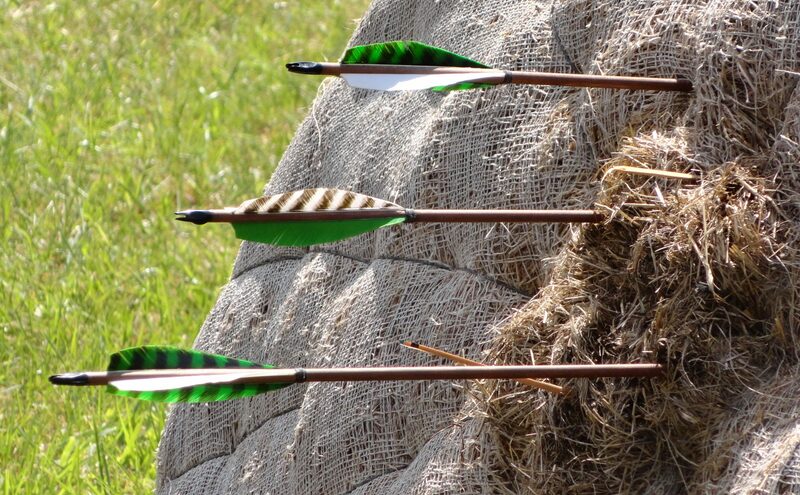 Relying on your archery goals, along with some initial observations, we’ll determine a suitable course of instruction. Unisex Poly Blend T-Shirts Printed by Athens, GA’s very own Satisfactory Printing. Available by pickup or $4 additional Shipping. Available Sizes – Youth – M, Youth – L, XS, S, M, and L Please contact us to confirm available sizes.